Dan Chwirut is an Honorary Vice President of Engineering (retired) at CardioMed Device Consultants. He retired in July 2010, but remains available to CardioMed Principal Consultants on an ad hoc basis. Prior to joining CardioMed Device Consultants in 2003, he was a Senior Engineering and Regulatory Consultant at MicroMed Laboratories, Inc, where he provided engineering and regulatory strategy consulting services for the medical device and related industries, specializing in preclinical test protocol development for implant devices. 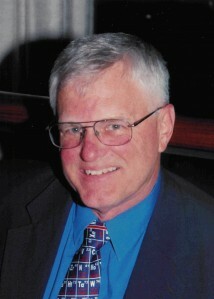 Prior to joining MicroMed, Mr. Chwirut worked for twenty-three years as a mechanical engineer for the U.S. Food and Drug Administration (FDA) in the Office of Science and Technology, Division of Mechanics and Material Science, He worked primarily on the development of standardized test methods and performance criteria for medical devices, and provided expert engineering consulting services to the Office of Device Evaluation (ODE), Office of Compliance (OC), and Office of Surveillance and Biometrics (OSB). For the past ten years, he worked primarily in the area of cardiovascular implants, including stents, occluders, heart valves, grafts, and leads. Other areas of research and evaluation included orthopedic implants and respiratory devices. He served as CDRH’s designated liaison representative or ad hoc consultant to many voluntary standards development committees and task groups, including stents, endovascular grafts, and heart valves. He has served as subcommittee chair, task group chair, and committee vice-chair for several of these groups. He also chaired the CDRH Specialty Task Group for Cardiovascular and Neurology Device Standards. Mr. Chwirut has considerable expertise in the evaluation of medical devices and the development of standardized test methods and performance criteria for medical devices. He has extensive experience interpreting and evaluating engineering data, developing and presenting reports of scientific review, and devising and modifying guidelines and protocols for the testing of medical devices. For his efforts, he has received numerous individual and group recognition awards from the Agency. He has been named FDA Engineer of the Year, and received honorary awards from the American Society for Testing of Materials (ASTM) and the National Society of Professional Engineers (NSPE). Prior to joining FDA, Mr. Chwirut was employed for 12 years at the National Bureau of Standards (now the National Institute for Standards and Technology), where he conducted research on the mechanical properties of materials and structures (primarily fatigue and fracture), the safety and performance of consumer products, and nondestructive testing. He earned both his master’s degree and bachelor’s degree in mechanical engineering from the University of Maryland, College Park, and is a licensed professional engineer (PE) in the state of Maryland.